Wow, it’s been over a year since I made my Double Dutch block for The Splendid Sampler 2. So far back, I can’t find a single photo of the process on my phone. Since I don’t have photos of my original block to share with you, I’ve made some new blocks in a different colorway to share. 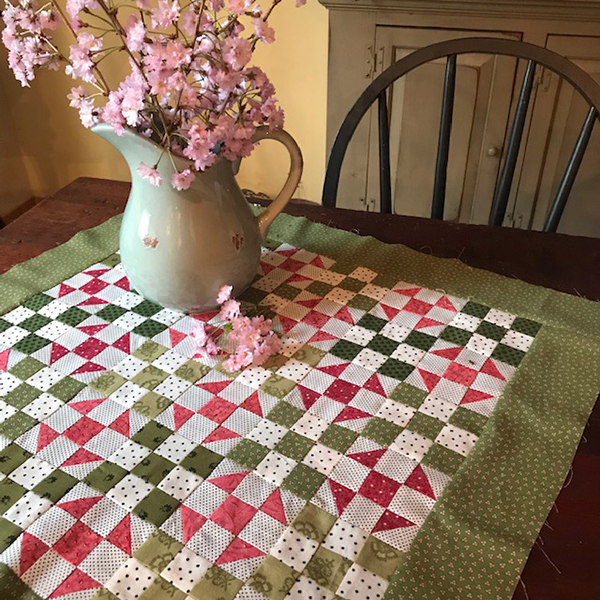 By now, if you’ve been participating and sewing along since last fall, you’ve been honing your skills all along the way, so this little combo of mini Nine Patches and mini Shoofly blocks will be a breeze. But just in case you find pressing those short seams to be a little tricky, here’s a tip for you. Regardless of how small the pieces are, I press the seam allowances to one side. I’ve been doing it that way for 40 years (egad! 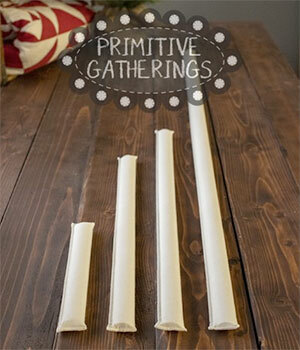 ), but if you want to press them open, you might like to try the Strip Stick from Primitive Gatherings. A half-round wooden molding is covered in canvas so you can use it to press seams open. It’s perfect for pressing long seams of strips sets, but you can use it for patchwork units too. Don’t risk burning your fingertips. Instead, place the block or unit right side down with seam over the stick. Open up the seam a bit with your fingertips; the seam allowance tends to fall open, making it so much easier to press using the tip of your iron. I’d love to see the colors you’d choose. Wouldn’t a totally scrappy version be fun? 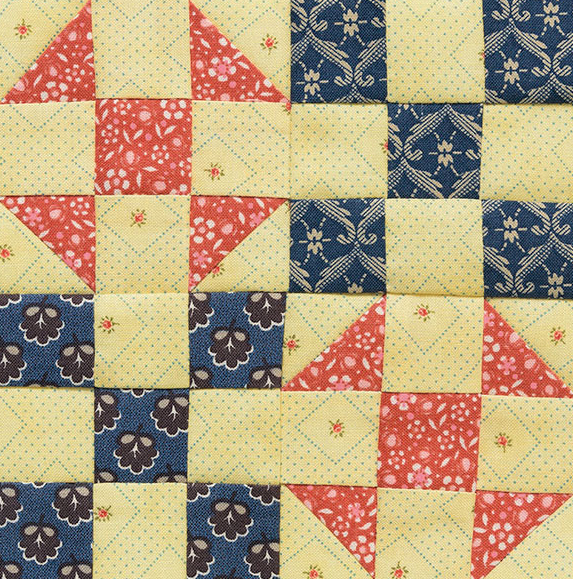 I made nine blocks total, and with a border, this sweet-as-can-be quilt measures 22″ square. Just about the size of a fat quarter! Thanks for following along on Pat and Jane’s sewing adventure. 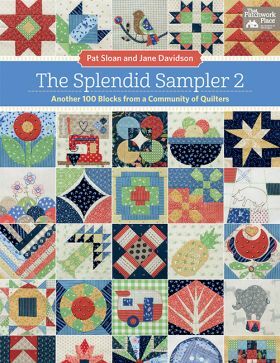 I can’t wait to see everyone’s finished Splendid Sampler quilts! How many blocks have you made from The Splendid Sampler 2? I have made 90 of 100! On the homestretch! I have made all blocks posted so far. Some executed nicely and some are just done. Learned a lot! I have not made any yet as I don’t have the book yet! 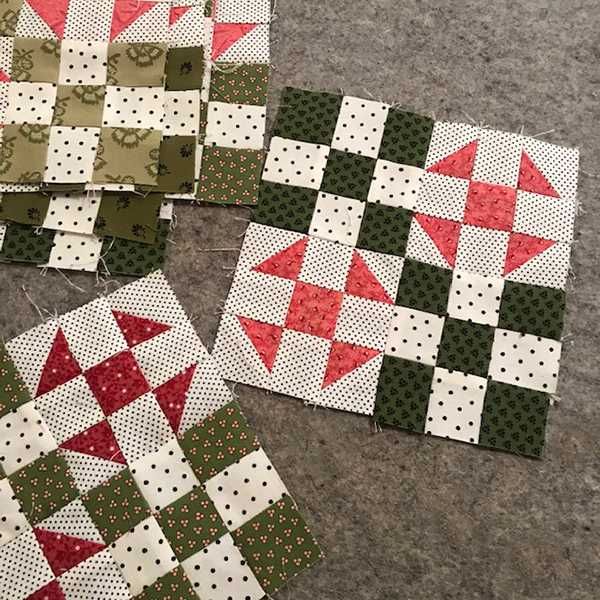 I haven’t made any of the blocks but I’ve enjoyed watching the process of these quilts. They are really fun. Just bought the book and am eager to get started! So far I have 70 completed. Love this wonderful project. I have PA Dutch heritage too, so this block is perfect for me. Thanks! I don’t have that book so haven’t made any of the blocks. Are you giving away books? Would like one. I have made 6. I plan on completing all of them, but have to admit my plans sometimes go astray. I too use this stick for opening seams, it really helps. I just did some 4 inch blocks and found this stick invaluable. I have not made any of the blocks. I have enjoyed seeing other quilters that have created the blocks and quilt. I have made 5, i plan on making them all, but I have to admit my plans sometimes go astray. I have book #1 and so far have done 50 blocks. None yet, but I do have the book, and I’m not giving up on myself! I have only made 11-20 blocks in the Splendid Sampler 2, off to a bit of a slow start but I will get them done, enjoying them as I go. I am still working on making the blocks from The Splendid Sampler. Life seems to have gotten in my way with taking care of aging parents, grown children, and grandchildren. But I keep working away! I’ve made 50 blocks so far- Yippee I’m half way! 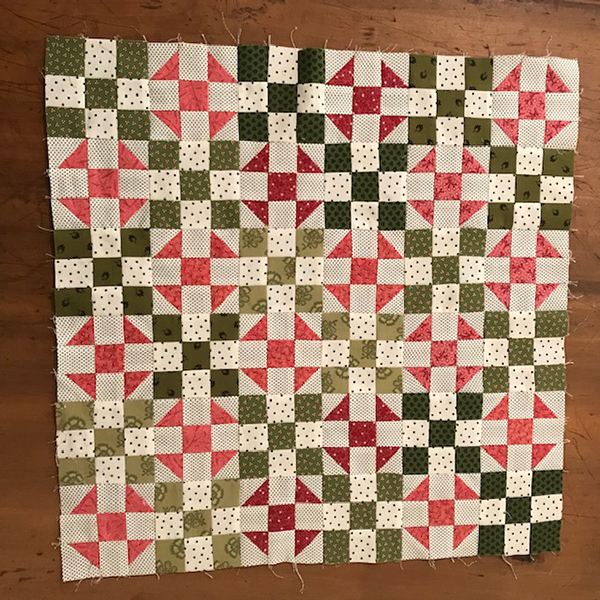 This is my first sample quilt and have learned a lot! So fun! I haven’t made any of the blocks. I’ve made all so far and only have 6 left to do. As I also have some bonus blocks and a few from Splendid Sampler 1, I have 98+ blocks done. 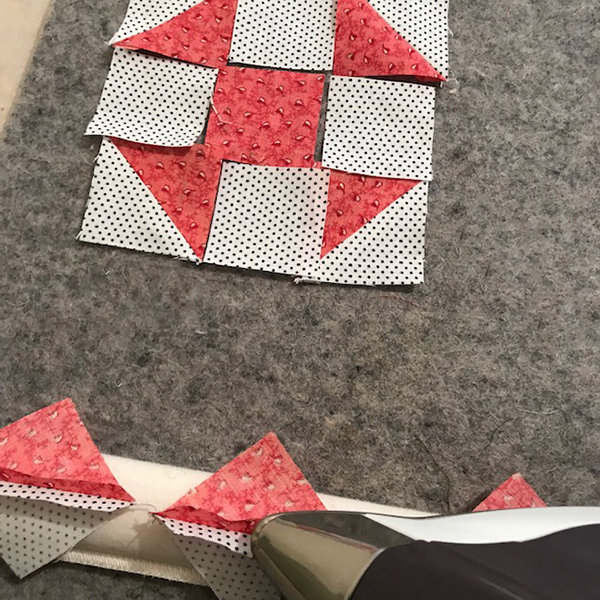 I’ve learned a lot even though I’ve been quilting for many years! I haven’t made any yet, but I am anxious to start. I have only made a few from Splendid Sampler #1 but love both books and plan to do more as time permits. So many really cute blocks! I’ve made 11. Love the applique blocks. I haven’t made any of the blocks yet but will get started when I get the book. I really like the Double Dutch block shown above. Unfortunately – none so far. On my to-do list! I love the Double Dutch block shown, especially the color choices, which is outside my usual box of colors! I haven’t started … yet! I have made none from SS2 but nearly all from the first go round with book 1. Loved the great ideas. I’m nearly at 70. The trouble is that I’ve made my favourites or ones I perceived to be easy so now I’ve got the harder/handwork ones to do!